Australia’s most cosmopolitan city, Sydney, is considered one of the world’s most livable cities. Its location at the ocean right next to dozens of beautiful beaches, coupled with its cultural and culinary offer make it one of the hottest travel destinations on the planet. Compare and book cheapest flights to Sydney from the UK now, and discover the land of the kangaroos and koalas for yourself. Founded in 1788, Sydney is the oldest city in Australia and originally used to be a penal colony. Nowadays, it is one of the most multicultural cities in the world, as more than 30% of its inhabitants were born overseas. Its most famous sight certainly is the skyline with the special, expressionist features of Sydney Opera House. However, Sydney has much more to offer! Surrounded by great national parks and hiking trails, there’s plenty of possibilities to discover the flora and fauna of South Wales. Best start your sightseeing tour at the Museum Station and admire the nice, old-fashioned style. From there, walk through the beautiful Hyde Park to Australia’s largest cathedral – St. Mary’s Cathedral. The present cathedral was built in beautiful Gothic Revival architecture from 1868 to 1882. Just close-by, you’ll find the Hyde Park Barracks that used to be the former barracks of male convicts and now feature a museum about that part of Australian history. If you’re interested in Australia’s plant life, head over to the Royal Botanic Garden and take a stroll through its premises towards Sydney Harbour, where you should take some time to marvel at the Sydney Opera House. In fact, there’s tours through the opera house in case you want to know more about its background and want to get a glimpse at its insides. To get a taste of Sydney’s Victorian architecture, you should also check out the Strand Arcade and the Queen Victoria Building around George Street. Just opposite, you’ll find the beautiful Sydney Town Hall. Do you want to enjoy Australia’s beautiful nature and like hiking? Then, you should absolutely take a hike in the Blue Mountains and walk to the Giant Stairway and the Katoomba Falls. Also, absolutely rent a bicycle and drive along Sydney’s coast on at least one of the days you’re in the city. Another must-see for nature lovers is the beautiful Sydney Harbour National Park. Furthermore, we recommend to check out the Bondi to Coogee Beach Coastal Walk and the Kangarrific Hunter Valley Wine Tour! Getting around in Sydney is easy, as the city has an extensive public transport network. No matter if you prefer going by bus, light rail or ferry – you can literally get anywhere. Also, there’s taxi services in the city and the possibility to rent bikes. Sydney can be visited all year round. However, if you want to avoid the hottest time of the year (26°C – 40°C), don’t go between December and February. 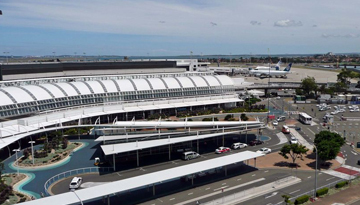 Many cheap flight tickets to Sydney are available which suit your pocket. 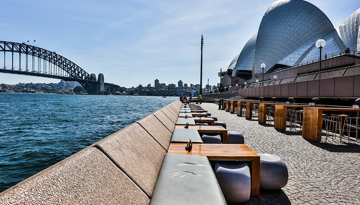 Here you can compare flights to Sydney and book your cheapest flight tickets to Sydney which fits well within your budget. Ebookers offers cheap flights to Sydney from London from £549 round-trip includes taxes. 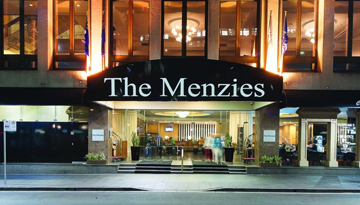 The Menzies Sydney has pleasant environment in and around to welcome the guests. Fly from London - Sydney & Stay for 5 nights with 4 star accommodation. Room Only.